On June 10th the Bethel Police Dept. will be participating in an event called Push Against Cancer. Our team is called Cops Against Cancer. For an hour, the team will be doing as many push-ups as they can to raise money for kids that have serious illnesses. With your donation these kids get to go to camp for a week and allow them to be normal kids for a week. The link below will allow you to donate and support an Amazing organization. This year they’re participating in the 2018 Push Against Cancer to benefit the brave and beautiful campers and their families at The Hole in the Wall Gang Camp. Founded in 1988 by Paul Newman, The Hole in the Wall Gang Camp is dedicated to providing “a different kind of healing” to seriously ill children and their families through a variety of year-round programs. 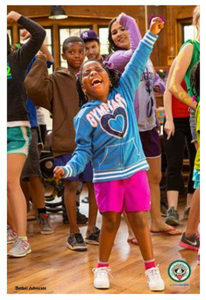 The Camp delivers fun, friendship and a healthy dose of mischief through its signature summer program and weekend sessions at the Camp facility in Ashford, CT as well as outreach to hospitals, clinics and communities across the Northeast. All services are free of charge. Please help us reach (or even exceed!) our goal. With your generosity, we can all share in the joy of knowing that we are helping to provide “a different kind of healing” to children and families coping with serious illness.